Your character’s secondary ability score is extremely important. It’s your second most useful stat, and in many instances is used almost as much as your primary ability score. Secondary ability scores help to carve out your character’s personal identity. I made a homebrew ruleset before that ties your D&D 5e character’s initial ASI to their class and not their race. It was easy to determine which ability scores would be the primary ability score for each class. However, the difficulty of selecting the secondary ability score(s) for each class varied. Some classes, like the monk, have a very clear-cut path of which ability scores are the most useful for their builds. Each monk archetype benefits from having Wisdom be the character’s secondary ability score. Other classes, like the wizard, have a slew of different ways to build them. They could be a standard wizard, a wizard that focuses on concentration spells, or an enchantment wizard that benefits from having a high Charisma. For these classes, I opted to give the player a choice. Which leads us to the purpose of this article. How do you decide what your secondary ability score is? Planning your character build ahead of time has always been important in D&D. Art by Alteya. In my experience, people tend to select their secondary ability score with character optimization in mind. They have a role or position for their character to fulfill within their party and build their character that way. This makes things straight-forward for the most part. Most classes have 2 optimal secondary ability scores. These tend to revolve around survivability or utility. 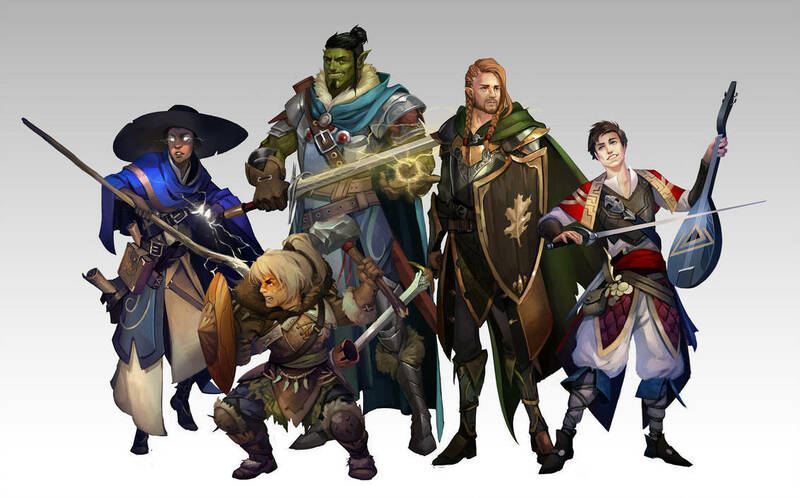 Your class’ primary ability score handles their major skill checks as well as their combat or spellcasting ability. To no one’s surprise, the easiest and typically the most optimal way to select your secondary ability score is to look at what ability score(s) your archetype revolves around. It makes sense to make sure that your ability scores reflect your class and archetype’s mechanical abilities. Sure, you can play a sorcerer that dumps a lot of points into Intelligence, but it’s not going to help you much. Rogues, for example, are very flexible when it comes to their secondary stat. They have archetypes that benefit from their primary ability score, Dexterity, but also ones that use Intelligence or Charisma. Coincidentally both of these abilities work well with creating a rogue anyway. Are you a smooth talker or an investigative type? You could even dip into a multiclass fighter build and opt to take Constitution instead. Other classes are more rigid. For example, paladins are going to almost always have Charisma as their secondary ability score. Their archetypes enhance their base playstyle directly and for the most part, follow this same formula. Front-line paladins will have Constitution not far behind Charisma as well. There are a few archetypes like the Arcane Archer Fighter that don’t benefit too much from a capped-out secondary stat. Having a +2 or +3 in the ability score is more than enough, but it’s helpful to at least get to that point before improving any other ability scores. Archetypes put their own unique spin on traditional D&D classes. Art by Niku Senpai. Both Dexterity and Constitution are ideal secondary ability scores for full casters. However, your choice will impact your character’s playstyle greatly. Dexterity is one of the most common saving throws. It’s also the primary source of AC for most of the full casters. Being able to increase your AC is crucial to avoid being damaged in combat, which is ideal since full casters have some of the lowest HP in the game. Dexterity is great for casters that use a lot of instant cast spells. They aren’t worried as much with making concentration saving throws all the time, so they’d prefer to just be damaged less. Constitution takes the lead when your character is focused around keeping up powerful concentration saving throws. You may have natural AC, or be able to wear a decent amount of armor already, so Dexterity isn’t as useful to you as keeping up your twinned Haste on your two front-line tanks! Constitution is also an extremely common saving throw. It also adds to your HP each level-up. There’s plenty of value to choosing Constitution as a survivability option as well. In my opinion, clerics are the only full caster class where the vast majority of the time they’ll pick Constitution over Dexterity. All of the archetypes can wear medium armor, but quite a few can wear heavy armor. They have plenty of AC and won’t benefit from Dexterity as much as they will from being able to make concentration saving throws easier with a high Constitution modifier. Therefore, I find this to be a playstyle decision. Either way, one of these ability scores will be your secondary ability score, and the other will probably be your third most important ability score. Making sure that your party covers all of their bases is extremely beneficial to the party’s success in the campaign. In terms of ability checks, this just means that at least someone in your party has proficiency in each of the skill checks. Understandably, this can be difficult or impossible to accomplish depending on the size of your party. In that case, you’ll want to make sure that there’s at least one person with a decent modifier for each of the ability scores. If you’re playing a thief rogue, you can choose between Intelligence or Charisma as your secondary ability score without any real impact on you mechanically. If your party is missing someone with significant points in Intelligence and/or proficiencies in related skills you could simply choose to boost your Intelligence instead and take some of those proficiencies on to fill in the gap. It’s easy enough to do, and while it does alter your playstyle a bit it will greatly benefit your party as a whole if you choose to do this. Not every class and archetype combination will have this type of leniency. However, it can be a boon for your party if you have the ability to be flexible to fill in the missing skill gaps. You can build some truly unique characters just by adjusting your ability scores. Art by Sam Peterson. 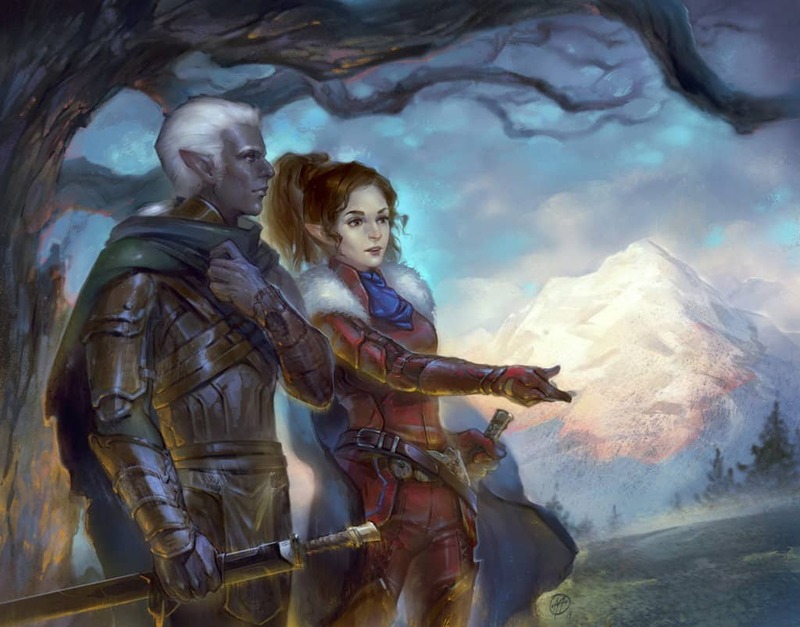 For the record, role-playing doesn’t have to come at the expense of character optimization. Optimization is dependent on what your goals are for your character. It’s not about just dealing the most damage you possibly can, it’s about thriving in a niche you build for your character. With that being said, after you’ve done some basic optimizations such as capping out your primary ability score you can afford to shoot from the hip a bit. There are class and archetype combinations that can afford to pick whatever they’d like without sacrificing much mechanically, such as the rogue example I mentioned. 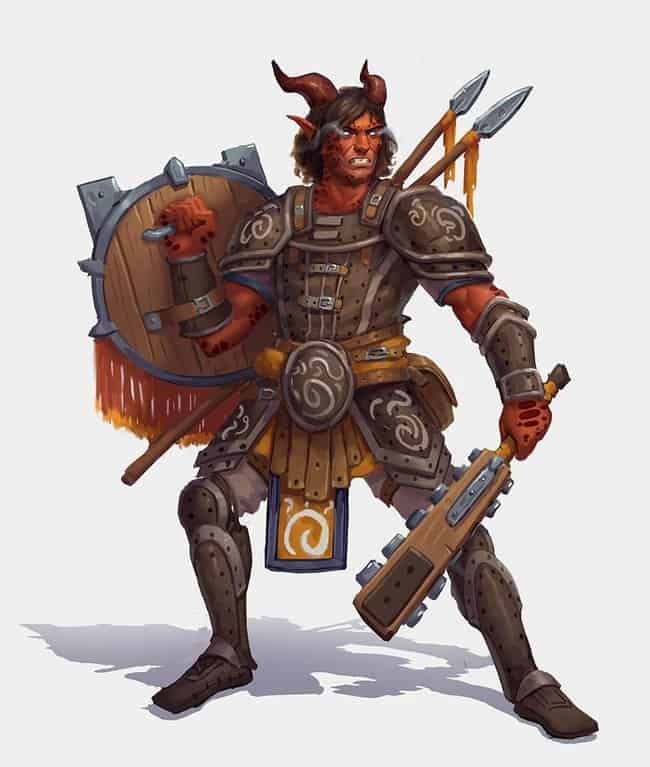 A smooth-talking barbarian is certainly unconventional, and not super optimal, but if that’s the goal for your character it’s a perfectly reasonable build provided you’re not severely lacking in Constitution as a result of boosting your Charisma. I personally wouldn’t build this way, but a +3 STR, +1 DEX, +2 CON, -1 INT, +0 WIS, and +2 CHA Barbarian isn’t going to be a detriment to the group. For the record, this is a perfectly attainable Level 1 build using point buy. Defining your character’s ability score priorities based on role-playing is a perfectly reasonable way to play. As long as your primary ability score is well taken care of, you can really do whatever you want in 5th edition. Personally speaking, I tend to select my secondary ability score based on the character’s mechanical needs. If their archetype requires a specific secondary ability score, I take care of that after my primary ability. I use this same philosophy when building out a character’s niche. Sometimes I play casters that are heavy into casting instant cast spells so I crank up their Dexterity. Other times I’ll play that same class, but with more focus on concentration so I’ll need a bit more Constitution. Increasing your skills based on how you role-play the character is perfectly fine too as long as you’re not holding back the rest of the party when doing so. The best part of D&D 5e is that it’s pretty difficult to make a useless character. Your secondary ability score is very important. In some cases, it can be used as frequently as your primary ability score. Determining the order of importance of your character’s ability scores will pay dividends when you get to spend your various ASIs when they pop up throughout the campaign.